For the last three months I’ve had to do FOC* for the same 20-ish books week after week, all of which are late, and I can’t sit around and pretend that I am no longer concerned that these guys are in trouble. And guess what? Customers are dropping the books faster than I can drop them during FOC. Take John Wick by Dynamite Entertainment for instance. I made a huge commitment on this book, did very good on it, and since release I have ordered, readjusted, and now finally have dropped it to pulls only, for over three months. I no longer have confidence that a) these books will ever get made, or b) there will be the same number of customers for #2 that there was for #1. Zenescope, at one point, was my most popular indy publisher. I took pride in doing exclusives for them — got many of their hottest variants listed in Wizard Magazine for the first time back in the day. Now I’m FOC-ing 2017 holiday specials in 2018, re-FOC-ing for the 5th or 6th time regular series, while dropping and dropping each time I do it because customers are passing on the late offering or have lost interest or faith in them altogether. My fear is that many of these publishers are out of money — that they need our non-returnable preorders to produce the next issues of these books. And as I’m probably not the only one dropping my numbers, they are just not able to get these books out to us, and with no money, I’m afraid the quality won’t be up to par. These indy publishers are the litmus test for the purity of our drinking water. They are the first to fold in hard times (next to the retailers who trusted or had faith in them). Collectively, they make up the bottom 5-10% of our businesses. Can we stand to lose them? Can we stand for long if we keep supporting them? I love the guys that work for all of these companies, but I can no longer support and have faith that their products will sustain my business model and customers’ desires. 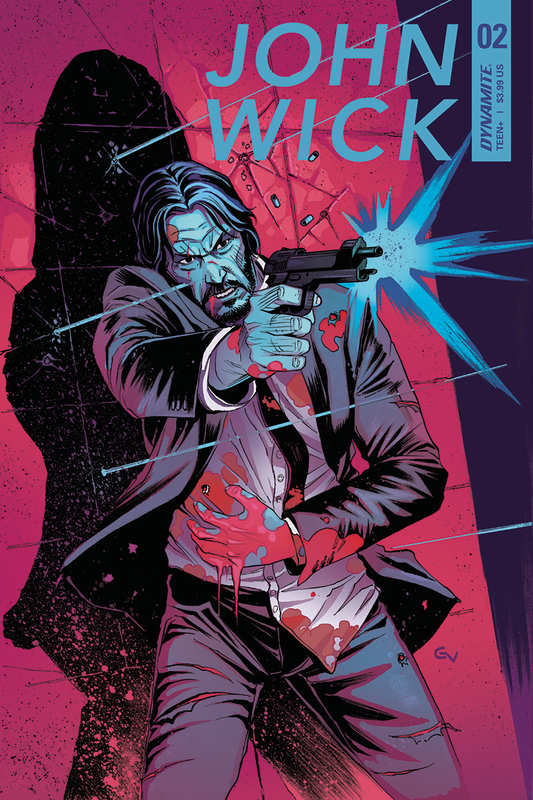 John Wick #2 is currently FOC scheduled for April 4th, 2018.